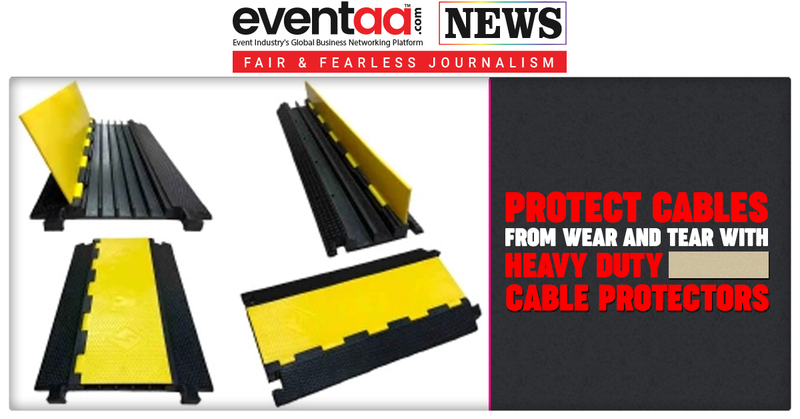 During live events to protect audio, power, and industrial cables against damage from pedestrians, material handling equipment, and transport vehicles Io Audio Technologies has released the KORE series of heavy duty cable protectors. The KORE series cable protectors have a multi-channel design that helps keep cables organised and separated. The protector is designed to keep safety in mind with clearly seen bright yellow tops. They have a skid resistant rough pattern that will also prevent people from slipping in wet conditions. There are 2, 3 and 5 channel protector and adjust in your event venue as per your need. For easy access, the single-piece comes with a hinged lid and compatible with other cable protector brands. The rugged cable protectors are easy to set up and can accommodate cables up to 1½ inches in diameter. With an interlocking design, the ramps are easy and require no tools for assembly or breakdown.